1 page. 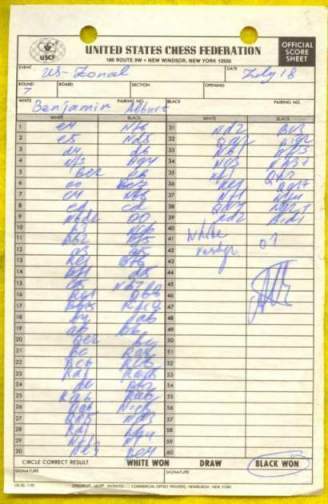 Octavo (8 1/2" x 5 1/2") Original hand written score of the game in round seven between Joel Benjamin (white) and Lev Alburt in Alburt's hand with the results a 39 move win for Alburt. 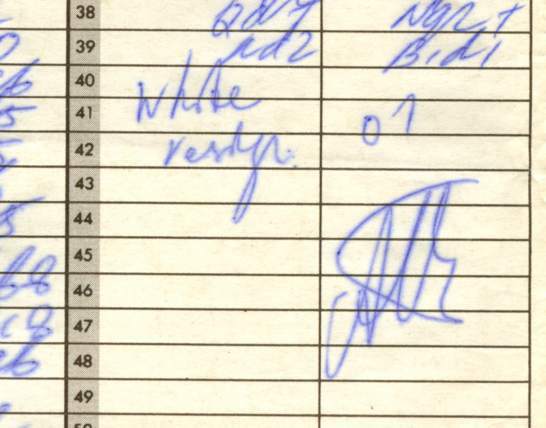 Signed by Alburt.